Down the road from Piggs Peake is a beautiful Semillon vineyard managed by Trudy Trevena. Its an old vineyard, approaching 100 years of age. The soils are a light, fluffy, sandy creek flat which is perfectly suited to the varietal. 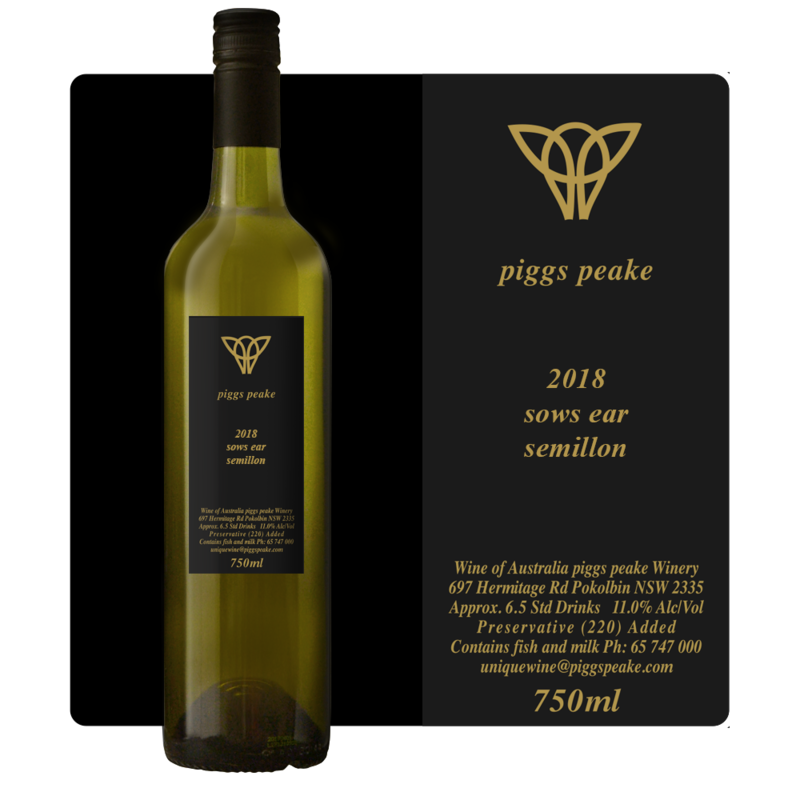 2018 was an incredibly hot, dry season which has resulted in a full bodied, ageing style of Semillon. The flavours are straw and citrus with a good line of acidity. Enjoy with fresh/raw seafoods. Enjoy now, or leave for 7 years and try it again.